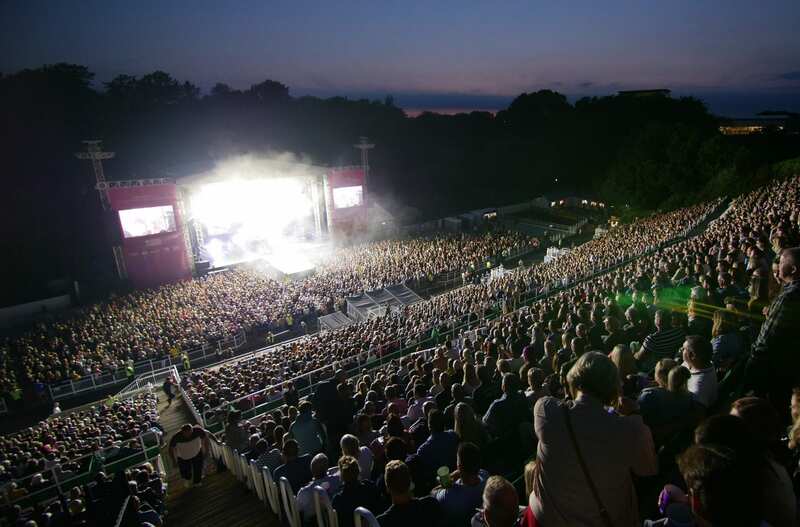 A record-breaking summer of live music at Scarborough Open Air Theatre was watched by more than 90,000 people, venue promoters Cuffe and Taylor are delighted to reveal. Sell out shows from the likes of Britney Spears, Lionel Richie, Bastille and Gary Barlow saw music fans from around the world head to Europe’s largest open air arena in 2018. This year’s sensational summer season was brought to a close at the weekend as a capacity crowd watched Britney Spears take to the stage on Friday before indie legends James rocked the venue on Saturday night. And Cuffe and Taylor are already working on next year’s line-up when they pledge to bring more of music’s top names to the Yorkshire Coast. Cuffe and Taylor director Peter Taylor said: “This year has been sensational, and we are so proud Scarborough Open Air Theatre is now well and truly on the world music map. “We knew when we announced that such worldwide megastars as Lionel Richie and Britney Spears would be heading to Scarborough OAT that this year was going to be something special and so it proved. “We are delighted to reveal more than 90,000 music fans bought tickets to watch a gig at this beautiful venue which means for the third year running the attendance record has been broken. “We want to thank every single music fan who has bought a ticket and we hope to see you back here in 2019. We are well on with planning for 2019 and we can’t wait to reveal who we have got lined up to play Scarborough OAT! Cuffe and Taylor, which is part of Live Nation UK, took over promoting live music at the Scarborough Borough Council-owned Open Air Theatre in 2016 and has smashed the venue’s attendance record every year since. This year’s line-up saw unforgettable performances from Lionel Richie, The Script, Gary Barlow, Nile Rodgers and CHIC, Steps, Alfie Boe, Emeli Sandé, Noel Gallagher’s High Flying Birds, Stereophonics, Pete Tong’s Ibiza Classics, Il Divo, Bastille, Texas, James Arthur, Britney Spears and James. Cllr Derek Bastiman, Leader of Scarborough Borough Council said: “Everything about this year at Scarborough OAT has been incredible. Janet Deacon, Area Director for Welcome to Yorkshire said: “The season this year has been truly outstanding and has given a tremendous boost to the local economy. Many of the attendees have come from not only the UK but from all over the world, travelling in from America, Italy and China to name but a few. “Accommodation providers are reporting a spike in bookings as soon as shows are announced, with one reporting that their rooms were sold out within fifteen minutes of one announcement. The venue is attracting first time visitors to the borough who not only fall in love with the Open Air Theatre but the area as well.